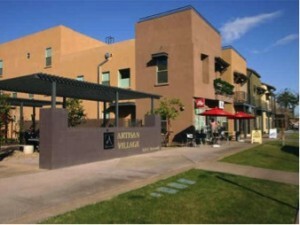 Artisan Village is a Downtown Phoenix condominium located at 615 E Portland Street, Phoenix, Arizona 85004, built in 2005. 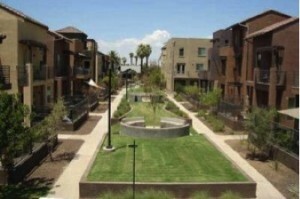 Amenities include: Heated Lap Pool, Grilling Stations, Chess Tables, Dog Park. Artisan Village is located in Downtown Phoenix a short distance from sports, entertainment, restaurants, ASU, Valley Metro Light Rail, Sky Harbor International Airport, and the Valley Freeway System.